Editor's Note: This is the fifth blog in a series during this National Week of Making to highlight Making in museums and libraries. If someone were to ask me what I did to make it in the tech industry, I’d tell them the key lies in making that path for yourself. When I was a child, I loved to tinker and figure out how things worked. I understood that no matter how many times the ins-and-outs and kinks were explained to me, I had to take it upon myself to get in there, break it down, take it apart, or sometimes scrape things to their bare bones. See-to-it-yourself is how I envisioned a career in technology. That’s before I became a member of the Children’s Museum of Houston’s Maker Corps, facilitating making with kids in the Chevron Maker Annex. Working in the Maker Annex was a fantastic opportunity to take seemingly complicated ideas and break them down in a way that could easily be understood by children and their families. It was a way for me to apply what had already been embedded in me and share my love of making or (un-making) with the community. 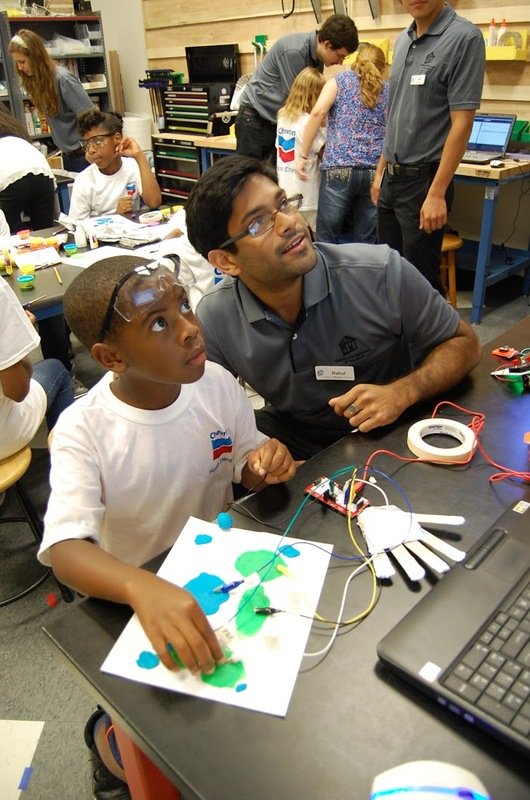 The Annex brought in would-be engineering and technical professionals such as myself, to work with children and allow them to use tools “only grown-ups” are supposed to use; laser cutters, electronics, and other devices kids cannot find in most schools. I took pride and joy in explaining the benefits of 3D printing as I learned more about it, so much so that I now work in the 3D printing industry. Kids made amazing pieces of work combining programming, animation, and building. It was incredibly satisfying to expose them to that technology, to make these resources available to them, and to see them realize they were capable of making cool things they previously thought too complicated. Their eagerness to tell their friends about the Maker Annex made me realize there was no other place like it for kids in Houston. What I learned from my experience being a Maker Corps Member at the Museum helps to fuel my professional interests and integrity today. Rahul Roy is a Service and Applications Technician at EnvisionTEC, Inc, a manufacturer of 3D Printers including software and material. He holds a BS in biomedical engineering from Rice University. His goal is to catalyze the widespread adoption of 3D printing through applications engineering. 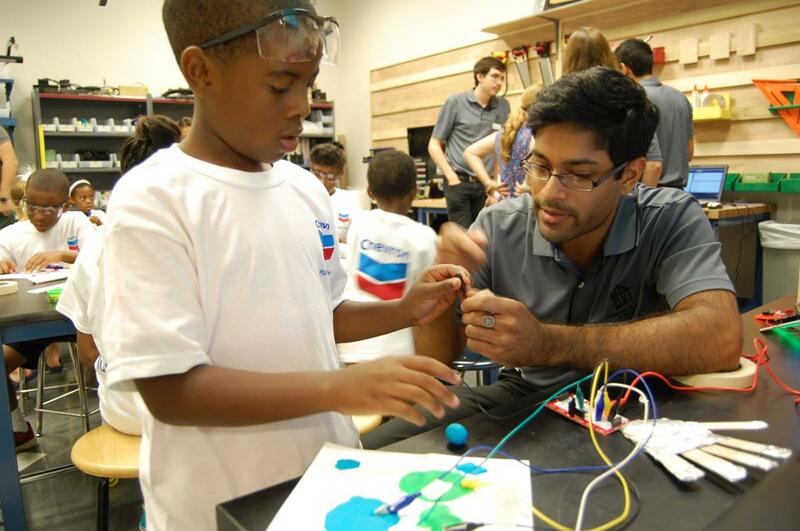 Roy served as a member of the Children’s Museum of Houston’s Maker Corps in 2014.